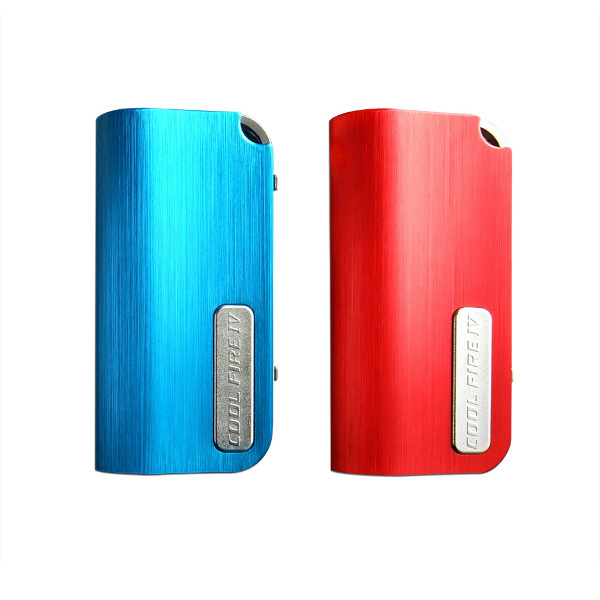 The Innokin Cool Fire IV (available for £39.99) is the newest box mod on ECigaretteDirect, and the latest model in the popular Cool Fire series. In this post you’ll find an overview and tutorial with everything you need to know to use it. 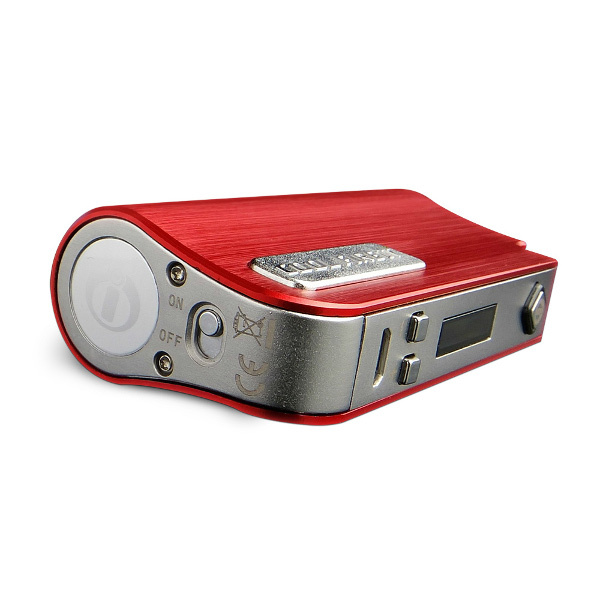 Update: Innokin have now released the Innokin Cool Fire IV TC 100W! Check out the overview, tutorial and troubleshooting tips here. All these features, combined with a quality build, comfortable to hold shape, ease of use, and an aesthetically pleasing design, makes the Cool Fire 4 an amazing bargain at only £39.99! Innokin have ditched the controversial grenade style design of their previous Cool Fires, and have re-emerged with a very impressive looking box mod. It’s a high quality build made from lightweight aluminium that is formed to fit your hand comfortably. 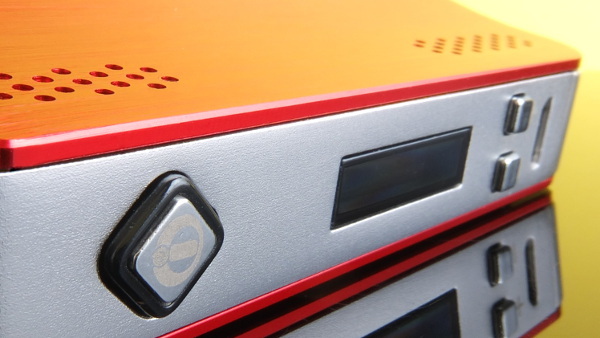 The brushed aluminium finish and range of colours makes the device very aesthetically pleasing. 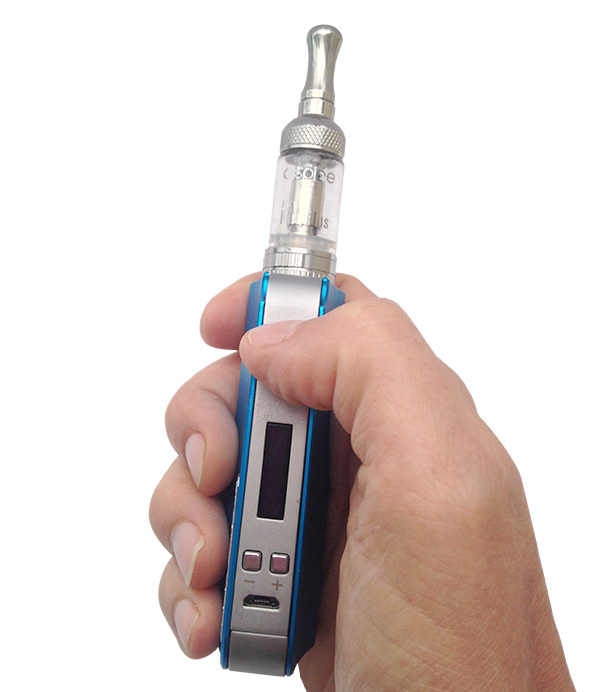 The Innokin is also moulded to fit the shape of your hand. This improves the comfort and grip on the device, although it’s quite subjective – some people like it, but some find it uncomfortable. A neat little feature of the design that I’ve rarely seen on other box mods is the nifty lanyard hole, which you can use if you want to hang it around your neck for safe keeping. Located on the side you’ll find a crisp OLED display, a power button, as well as plus and minus buttons. 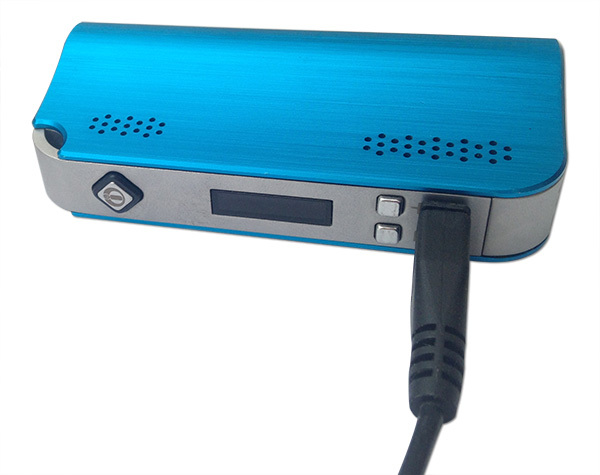 The OLED screen displays the current wattage and voltage, the resistance of your atomiser / coil, and the battery power remaining. By pressing the plus and minus buttons simultaneously, you can view your puff count since the device was last locked or switched off. If you continue to hold these buttons down, the screen will flip – this is great if you’re left handed! Before using the Cool Fire you must charge the battery for at least 4 hours (ignoring the charge indicator for the initial charge). In the box you’ll find a Micro USB charger (DC 5V/1A) that you can use to charge your new device from a computer, or using a compatible plug adaptor. Please note: Charging your device with incompatible plug adaptors is dangerous (see our Battery Safety Infographic). After the initial charge, the device usually takes 2 and a half hours to charge fully from a completely flat battery. If, like me, you’re always forgetting to charge your battery until the last minute, you can also vape while it charges using its passthrough capability. By locating the micro USB port on the side of the device, it allows you to stand the Cool Fire upright while it’s charging. The Cool Fire 4 has multiple battery indicators to let you know when the device is running low on power. Red: Battery is low. Charge the device. How Do You Switch the Cool Fire On & Off? 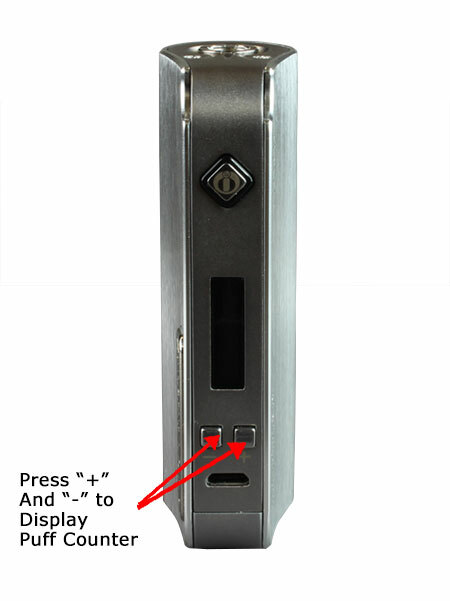 We absolutely adore the new on and off switch Innokin have placed on the base of the device. This is an easy and safe way to turn your device off if you are travelling or storing it for a long period of time. If you’re using it throughout the day, you can also lock the Cool Fire by pressing the power button 3 times. 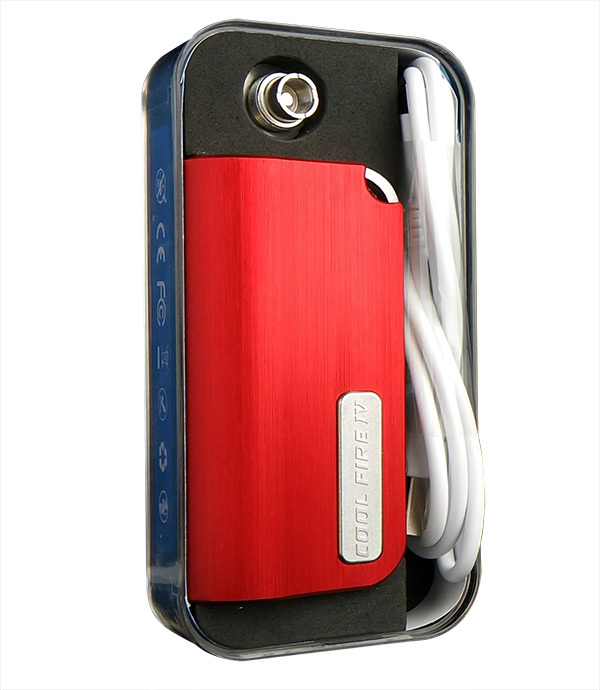 The Cool Fire IV allows you to switch between variable voltage and variable wattage mode. To switch to wattage mode hold the power button and the plus button together. Similarly, to switch to voltage mode hold the power button and the minus button together. The wattage ranges from 6W right up to a whopping 40W in 0.5W increments, whilst the voltage ranges from 3V to 7.5V in 0.1V increments. To alter the wattage / voltage output hold the plus or minus arrow until the display starts flashing, then release the button and press again to make your adjustment. You can speed up the scrolling by holding the button down. How Do You Use the Puff Counter? Simply click briefly on the + and – buttons to display the number of puffs. How Do You Reset The Puff Counter? To reset the puff counter, simply lock the device by clicking the fire button three times. The Innokin has a hard-wearing stainless steel 510 thread with a spring-loaded connection that provides great contact between the clearomiser and battery. The device also comes with an eGo adaptor if you’d rather use an eGo threaded clearomiser. For those who love to sub-ohm, the Cool Fire is compatible with atomisers down to 0.3ohm. The maximum resistance coil is 3ohm. For your peace of mind, the Cool Fire IV is packed with safety features including low voltage protection, short circuit protection, overheat protection (will display ‘too hot’), over discharge protection and a 15 second cutoff timer, while the built-in heat dissipation holes further prevents the device from overheating. Ensure the manual switch is on. (This is located on the base of the device). If the CoolFire is charging, try removing the charger and then replacing it. Try flipping the manual switch to off and then back on again. Also see general battery troubleshooting tips here. When the internal temperature gets too hot, the battery will give a warning message and/or shut off. If you have been using the device heavily, allow it time to cool down. If the problem continues, try changing the coil and/or tank. 90% of the time this is due to a fault with the coil or using a non-compatible coil, and can be remedied by changing the coil. Occasionally this can be due to an problem with the centre pin making contact, or an internal error which will mean the battery needs replacing. Anything else you’d like to know? Let us know in the comments! mine is doing the same thing. what a waste! Apologies, Joey, I missed this. We’ve seen a few reports of this and there doesn’t appear to be a fix, so suggest you return to customer services to be replaced. ALAN, 7th sept.2015. I have just bought one while on holiday in blackpool and have same problem. Trouble is i did not try it till i got home in somerset who do i contact? Hi Alan, you need to contact the retailer – can you look them up online? I just purchased my cf4 tonight and keep getting the check atomizer error. Both items were purchased together. Is there a fix? Can you try another atomiser on it. That should allow you to identify if it is a problem with the atomiser or the battery unit. If it is a problem with the battery you should return it your supplier for replacement. The only problem that I’m having some is that I can’t reset the puff indicator how do I do this ?? It’s just a case of locking the device (click the fire button 3 times), this will reset the puff counter. Hi Mike, simply lock the device by clicking the fire button three times. Dont seem to have a puff counter display, can get seconds per puff but no display of how many puffs per use can you help thanks. Like to add only issue great vape and excellent battery life. Hi Dean, don’t have one on me at the moment (mine was confiscated for use as a shop demo 🙁 ) but will investigate on Monday. Hi Dean, To get the puff counter you need to briefly press the + and – button. This should display the number of puffs you have taken. Let me know if that works. So I have the cool fire IV and my battery died I didn’t charge it at all and now it’s been charging for hours and it will not turn on! Tried clicking three times, i get nothing!!! Have you tried the manual switch under the box mod? I know I just tried to fire up a new one and failed, then realised I had forgotten the manual switch. If that doesn’t work, you should check with your supplier. The atomizer won’t work is there a way to fix it with out getting a new tank for it? Hi ALicia, if you have a tank with replaceable atomisers, you can just replace the atomisers. These usually come in strips of five as they do need changing fairly regularly. It’s always best to buy tanks which take replaceable atomisers as they are cheaper in the long term. Hi Paul, if it’s the internals then you’ll need a new one, I’m afraid. It’s worth cleaning the terminals first to see if that is causing the issue. Hey I’ve purchased a cf4 and every time I take a puff it tastes like burning water. What should I do or how can I fix it? 1. Burn out atomiser (needs replacing). 2. Wattage used not appropriate for the atomiser you are using. 3. Not priming the atomiser before you use it. Hi Amanda, why can’t you return it? Had my cf4 for 3 weeks now and it’s brilliant. Had others ones before and they broke within 2 weeks. hi there my cool fire is only coming up saying shorted, how do I fix this? do I just change the Coil in it? Hi Scot, The best thing is to contact your supplier just in case it is damaged, as you should never use a damaged battery. My COOLFIRE IV IS READING ,”CHECK ATOMIZER,” and it’s not eorking, what does that mean, and what do I do? It will not come on. No display, no lights. No nothing. Battery is charged. If it’s a flashing green light it shows that it is charging. Mine ran out of life i went to charge and it won’t charge no lights nothing shows on the screen now nothing idk what to do. I’m having an issue with my Cool Fire IV and I’ve looked everywhere for a solution. I plugged it in today after it stop working and I get a flash of Red, then Yellow, then Green on the main button. After which the Innokin Technology pops up on the screen and then it goes black. It repeats this process nonstop. Not heard of that issue before. I’ll see if I can get an answer from Innokin. I’ve checked this and it’s a known issue – Innokin advise suppliers to replace if in warranty period. how do i change from voltage back to wattage somehow i switched it over. idk what happened. Hold the power button and the plus button together. Hi I just wanted to know how to charge while using it. I’ve got it charging but can’t seem to get it to go. I find I just plug it in and use it. However, if the battery is totally drained, you may need to wait for it to get some juice in the battery first. Also, it may have switched itself off, so you might to turn it on again. Hi just purchased this today and was told to use straight out of the box, I asked if I needed to charge before first use and was advised did not need to is this correct?? Also what would you recommend as the best clearomizer for this? Also is there a clearomizer that will take vape as well as herbs?? I got the Cool Fire 4 few weeks ago, with the blueberry flavour (loving it). When the flavour finished, I refill it with the same flavour but I can’t get the flavour/ vapour. I think it might have the filter blocking, is there any way to unblocking? There are many reasons that can happen! Check out this post: https://www.ecigarettedirect.co.uk/ashtray-blog/2014/03/vapers-tongue.html and let me know if any of the solutions work for you. Hi Vicky, what tank are you using? One idea would be to check the wattage you are using, as it may be set too high. r.e. atomisers, could you confirm if you have a tank for your device, and if so what it is? I have the coolfire IV. I’ve had it since July, maybe. Today the display is out. I’ve read through several posts and the whole artticle and found nothing related. FYI, my device had no manual. Thanks for the help. I’m loving mine. No problems, thanks for the guide. Hello I have the cool fire iv plus and it keeps leaking out the air control ? I changed the coul because of the seal I thought was gone but still leaking .. I clean it up an it’s good for a while than leaks again ..
Hi Stephan, What clearomiser are you using? Hi James, I’m using my cool fire 4 with a isub g tank. I keep getting a loud popping sound and the mouthpiece heats up on every cape. I have it set at 3.0v (lowest) and 20.0w (half). Its brand new, so could it be a faulty coil. My cool fire 4 is having a problem and idk if it is battery but it has a buzzing sound and after hitting it about 3 times it will burn my coil on my I sub tank idk what the problem is. Hi Lewis, I had a buzzing noise on mine before. It disappeared when I changed the clearomiser. Hi sorry, I think it tells me in the manual but I can’t find it, I just wondered. How do you know when to change the coil on the cf4 and does it show on the led screen? Hi Tony, you can usually taste the difference on a coil – if there is a slight burnt taste you need to change the coil. However, sometimes you get a low beeping noise on a Cool Fire or a check atomiser message which can sometimes be resolved by changing the coil. i am having trouble opening the tank to just refill the dang thing. ive tried everything to try and open it and I feel like now im doing something wrong. This would depend on the tank – the coolfire if just the battery. Tips depend on the device – with the Aspire Nautilus, for example, it’s important not to overtighten when you close it. If you do have a problem tank it can sometimes work if you put it in the fridge for a couple of hours. Hi, I have recently purchased a cool fire 4, I am using 0.5 atomisers and I’m just wondering whats the best voltage to use? This is a hugely controversial subject. While there are graphs (see here), it does depend both on personal preference and on the juice you are using. Personally, I like to start low and work my way up until I hit my sweet point. Hi i have had the cool fire for a while but recently it has become very harsh for some reason? Ive changed the filter and washed the atomiser out but still the same problem plz help??! – changing the pg/vg ratio of your e-liquid. Some e-liquids are smoother than others even at the same pg/vg ratio so it might be worth trying a different e-liquid brand. I have only had my mod since Friday. I noticed that the green light does not turn off after charging for plenty of time. The first time i did not turn the battery off. The second time I did and it is still doing the same thing. Is the mod bad? My innokin coolfire 4 is not working atall but when i put the charger in it flashes red, amber and green and comes up innokin technology on the screen, i havent had it that long and its not in bad condition, what should i do ? Haven’t heard of that one, perhaps the voltage going through is no longer accurate? I have a Cool Fire 4 and bought some replacement coils from a local vape shop. On getting home I noticed coils have a recommended wattage of 30-70. Will these be ok to use as cool fire 4 is 6-40watts? Am a noob. Hi Raul, I don’t think you are likely to do any damage to your tank (if the power is not high enough it will just struggle to perform in terms of producing vapour), so why not give it a try? Hi! My Cool Fire IV does not seem to be holding a charge! I charged it overnight, and it would not let me vape when I unplugged it. I got it to work, but then it needed a chargw again after only 20 mins of use. How can I fix this? Thank you! Hi there my CF 4 is now showing Volts instead of watts on display, what voltage should you run it at ? I usually had it at 13w thanks David. It might be easier to switch back to wattage mode – there are instructions in the post. Let me know if that works for you! James Dunworth I have had a cool fire 4 for about 6 months and love it this morning I woke up with a problem I can’t figure out, last night it was working fine I put it on the charger go to bed, wake up and it doesn’t do anything, it won’t turn on or even try to vape, I used the same charger cord that came with my cool fire. When I put it back on the charger it turns on and looks like all is fine but when you push the button to vape the led lights on the screen just flash real fast….I cannot figure this out..any ideas? Hi Jonathan, I have put some suggestions at the bottom of the post for people who have problems turning the device on, but if all the LED lights are flashing fast I suspect it may simply be broken. james,when i push the fire button,it only says too hot,i’m on 20 watts 0.5 ohms and still nothing what do i do? Are you sure you’re not referring to the tank? The coolfire is only the battery. Hi there, i bought my cool fire a week ago with the isub tank. It was okay for a few days but now its just extreme harsh on mu throat and chest. Ive changed e-liquids, coils, voltage wattage but still its burning like crazy when i use it to the point its unusable. Any fixes? Hi Aaron, These usually come with a three month warranty so I would take it back to the supplier. Just got home with new CF4 set up for us by the shop and is now dead, no lights even when plugged into laptop power supply. On/Off button is in the ON position. It’s okay. I took it back to the shop this morning and they gave replaced it. Fingers crossed this one continues to work! I’m using the cool fire 4 plus, seems a good well built piece of kit. It’s set to 3 volts, 22 watts. It’s the 0.5 ohm one. I’m just wondering is the crackling when you vape normal? I’m new to all this. Yes, quite useful. If it bothers you, you might want to try reducing the voltage. Hi there. My cool fire iv was flashing red as if it needed charging but when I put it on charge no lights came on to indicate it was charging. I’ve switched it on and off and still nothing. My screen has gone blank too. I’ve been using the same charging method with it at all times (meaning same plug/cord and socket) I have a spare mod box and tried the charger and it worked straight away so it’s not a broken charger. Any idea why it’s totally died on me pls? Hi Claire, they can die, especially if you have dropped it at any time. If it’s in three months and you haven’t dropped it, the warranty should still be valid. Hi can u use liquid with nicotine in the CF4? Hi i just cleaned out my cool fire iv and now trying to press the fire button it won’t let me vape at all it just keeps flashing red and green and coming up innokin technology. But thing is it was working just a minute ago. You able to help at all?? I’ve had mine for about a year now. I haven’t had any problems until today. It randomly stopped working. When I plug it in, it just continues to flash red, yellow green. And when I hold the fire button it flashes between green and red. Is there a fix? Or is he a goner? ? Hey I’m using the Coolfire 4 With 0.5 Coils and I’m looking for the best variation for the best vape ( Taste & Stuff ) What Watt & Voltage do u recommend. I’ve been gaping for ages but always used drippers. This One Is For My Work, I’m Vaping ” Cereal All Day ” One. I’m Looking for the best taste possible also the recommendations you have. It’s an 80/20VG Mix ( I just bought this Coolfire today & Really Enjoying it so far. I mean from going from the Cloud Beast To this Is A Hell Of A Step Down. But over the day I’m getting used to it. Just wondering If 30W & 4.2V is good? With wattage/Voltage settings, you don’t adjust both, and they remain. You adjust one, and the other auto adjusts. So, with a 0.5Ohm coil at 30W, you’re actually looking at just below 4V. Where as 4.2V is more around the 35W mark. Depending on your tank and chosen coils, you may get a better flavourful vape. If there is an option for Clapton coils, I may suggest using those, as the increased surface area adds to the flavour. Also, perhaps shut off your air flow a bit, as the more air you have, the more diluted the vape. I have a coolfire iv and it has started to leak from the air intake, I have taken it all apart and the problem resolves for a little while and then resumes again, please could you advise what is happening here? My battery says it’s fully charged but after a couple of puffs the battery flashes and the whole thing turns off. Any one know what it is? I bought one of these today and keep getting a loud popping sound everytime i use it,any idea how i can get this to stop? ….using an apex sub tank. Try decreasing the power level. I am tasting the liquid on my tongue. Have I over filled it? I have a cool fire IV and my coils are only lasting a week (if that) . I am wondering if I’m doing something wrong or is this normal? I do make my own juice, could that have anything to do with it or could I have my settings wrong? Hi, I am new to vaping and have just upgraded to CF4. I am using cbd oil only, no nicotine. After 3-5 seconds of ‘draw’ there is sometimes a loud crack which startles me. Is this normal or should I be adjusting anything? There seems to be so many adjustments you can make I.e. resistance, air intake, voltage and wattage I dont know which to adjust. Is the crack noise normal and can you point me to a ‘guide for dummies’-type blog? Many thanks. We have a number of beginner’s guides on this blog – what are you looking for exactly? I’ve just upgraded from a T22 Endura to a Cool Fire IV. I have kept the same tank from the T22 which takes a 1.5 ohm atomiser (although this shows 1.6 on the screen). What would be the best wattage/voltage combination to start at? I’m not familiar with the Endura, but for other brand 1.5 ohm coils we recommend using a wattage of 10-22W. Ok brill. I’ve got it at 11 so I’m in the right area then. i have an ohm of 0.2, can you tell me the ideal wattage for this please? Hi Jake, as there are a number of variables, I personally prefer to start low and work my way up until I find the sweet spot. Hi Nora, if you are using temperature control I am assuming you have one of the coolfire tc versions rather than the original Coolfire 4. 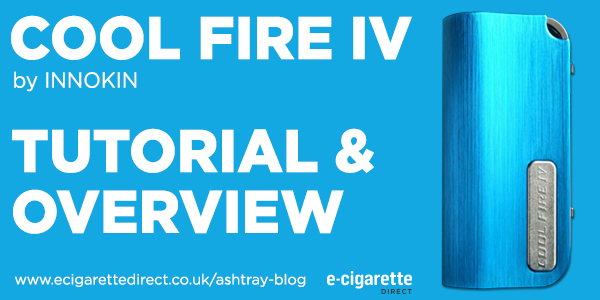 If so, you can find instructions here: https://www.ecigarettedirect.co.uk/ashtray-blog/2016/05/innokin-cool-fire-iv-tc-100-tutorial-giveaway.html#usage Let me know if that answers your question! 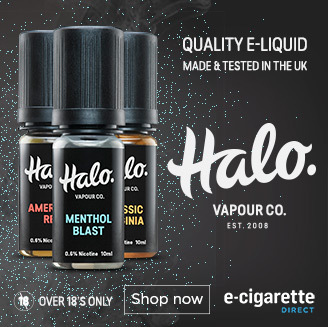 Would anyone now the actual size of this vape, length – width – hight ect …. a friend has asked me to make a cover for his girlfriends cool fire IV for her birthday. The Coolfire 4 is 86mm tall and 24mm in diameter (to fit 22mm tanks with 1mm of clearance for the metal skin around the device). The body is tapered toward the screen and buttons on the front, and the panels are slightly concave. We don’t have official dimensions from Innokin for this device. We’ve measured the front panel to be approximately 14mm, compared to the width at the rear under the tank (24mm). Depending on the type of case you would like to make, you may want to look into 3d scanning the device first to make sure you can get a good fit.